Paul Rudell is a fisheries biologist and fisheries analyst with a Master of Marine Affairs degree in Marine and Environmental Affairs from the University of Washington. He has 10 years’ experience managing and conducting marine research in the Salish Sea and on Washington’s outer coast. Paul is the research scientist and onboard project manager for derelict gear removal projects at NRC. He has extensive experience in Salish Sea marine environments with years of experience at sea and working with diverse stakeholders, including work for universities, tribes, non-governmental organizations, private consulting firms; and federal, state, and local agencies. 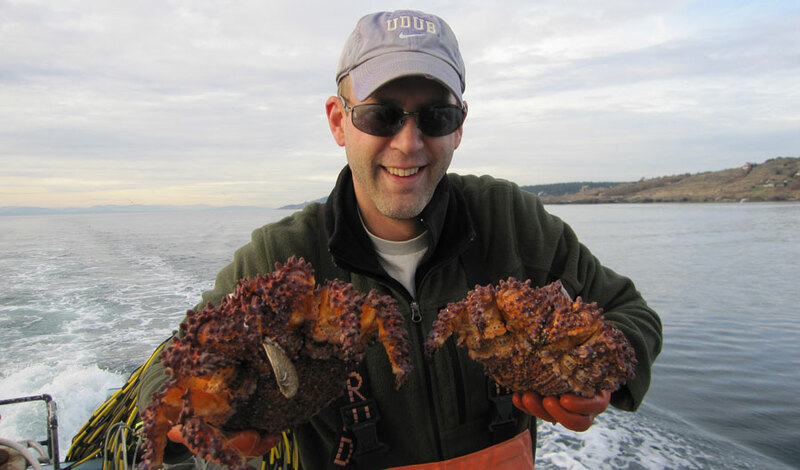 Paul has conducted studies on shellfish aquaculture science and management, harmful algal bloom dynamics, Dungeness crab behavior, deep-water derelict net recovery, rockfish distribution, and fisheries related impact assessments. He performs spatial analysis using ArcGIS and side-scan sonar analysis using Marine Sonic Technology. Paul spent four years in the Alaskan salmon industry as a commercial fisherman, and works on NRC at-sea studies in Alaska.